Visitors explore the cross-pollination of ideas and influences between the United States and Australia in the new Terra Collection Initiative Continental Shift. Perth, Australia—The new Terra Collection Initiative Continental Shift, an exploration of historical landscape paintings at the Art Gallery of Western Australia (AGWA), highlights the cross-pollination of ideas and influences between the United States and Australia. Re-examining and reconsidering connections and themes found in artistic works from different continents, the exhibition is the result of a partnership between the AGWA, the Terra Foundation for American Art, and the University of Western Australia (UWA). “Continental Shift represents an exciting development in our relationship with the University of Western Australia and the opportunity for a new partnership with the Chicago-based Terra Foundation for American Art. The exhibition is an excellent opportunity for people to view historical landscapes from the US and Australia in a new light,” explained AGWA Director Stefano Carboni. Both North America and Australia share a history of having been settled by British colonists at a time when landscape painting was coming into its own as a subject in nineteenth-century Europe. Continental Shift enables audiences to see how the “European vision” of artists was brought to bear on the depiction of these new lands, and to chart similarities and differences in how these same set of aesthetic influences developed in the work of artists on each continent. On loan from the Terra Foundation are 15 nineteenth-century works by artists such as Alfred Thompson Bricher, Thomas Cole, Thomas Doughty, Sanford Robinson Gifford, William Groombridge, William Stanley Haseltine, Martin John Heade, George Inness, John Frederick Kensett, John La Farge, Fitz Henry Lane, and Worthington Whittredge. 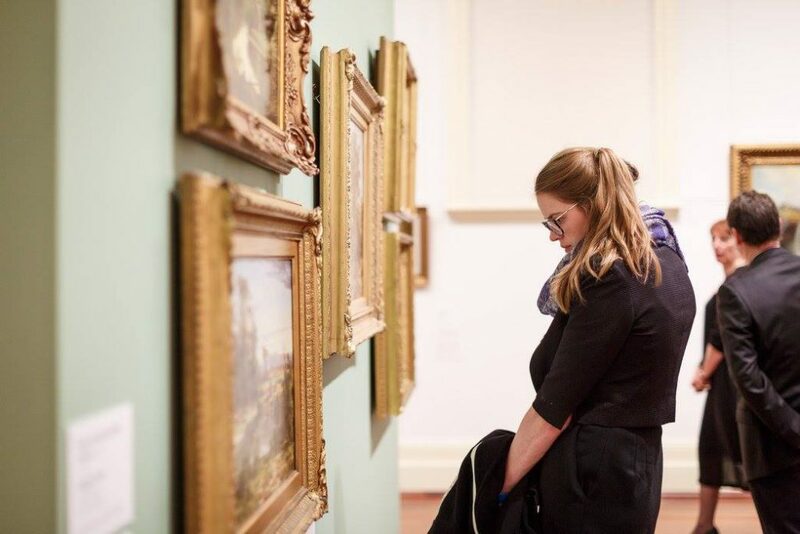 These are interspersed with a selection of 15 classic Australian works from the Western Australia State Art Collection by artists including Louis Buvelot, Nicholas Chevalier, Frederick McCubbin, Arthur Streeton, and Eugene von Guérard. Accompanying the exhibition is the first-ever teaching unit funded by the Terra Foundation in Australia, a 10-week course taught on site at UWA from August to October featuring international and local guest lecturers. This unit is available to third-year and honors students majoring in art history at UWA. Interested members of the public can also apply to attend the course. Professor Catherine Speck (University of Adelaide). Established in 1978, the Terra Foundation for American Art is dedicated to fostering the exploration, understanding, and enjoyment of the visual arts of the United States. With financial resources of more than $350 million, an exceptional collection of American art dating from the colonial era to 1945, and an expansive grant program, it is one of the leading foundations focused on American art, supporting exhibitions, academic programs, and research worldwide.